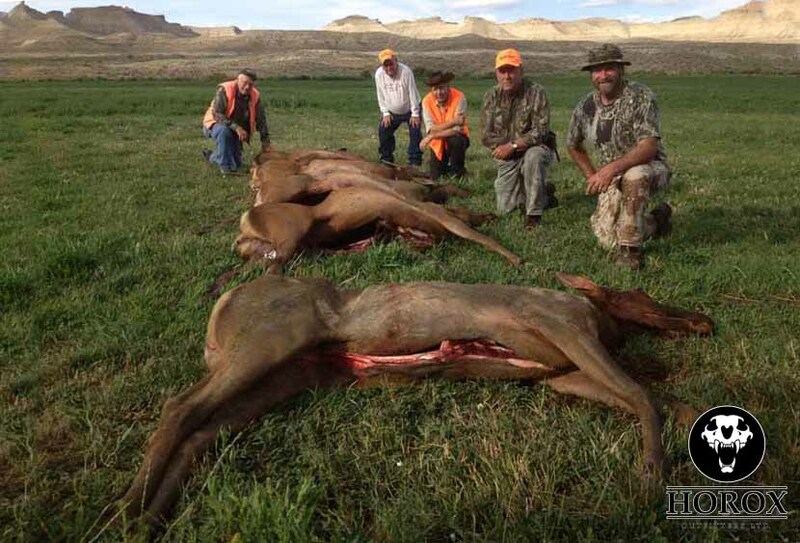 The state of Utah offers limited-entry drawings for cow elk. The unit that our ranch lies within is called the South Slope/Diamond Mountain Unit. A person must put in an application to the state for a drawing of one of these permits. If you draw, we would love to take you hunting on our ranch. We have a good number of elk on our property and to get you a cow won't be a problem. Call for Current Pricing 435-760-1682. 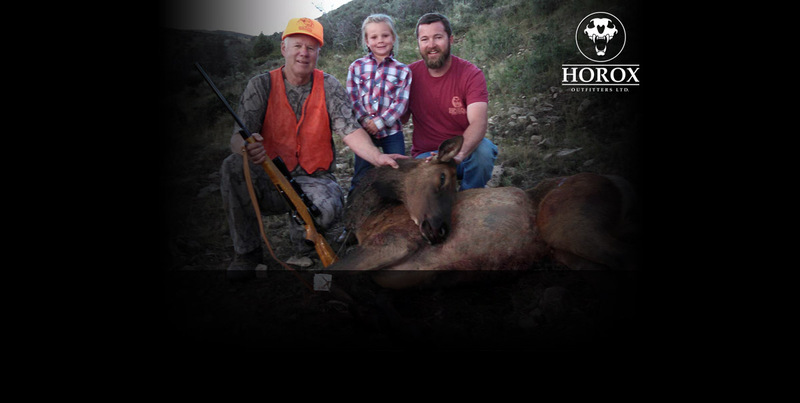 Each client will go on a three-day, semi-guided hunt. The price includes lodging and meals in our campers or cabins, landowner tag, guiding, skinning and trophy care. Quality taxidermy is available with a recommended local taxidermist. 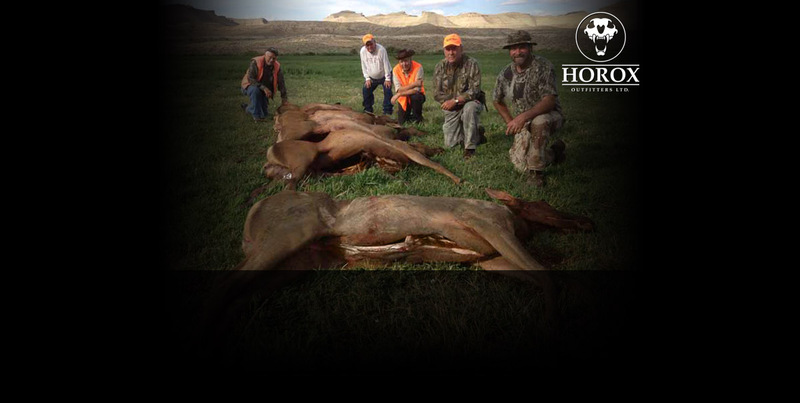 We also guide limited-entry hunters, call 435-760-1682 for Current Pricing. The application time period opens late May and closes mid June each year. 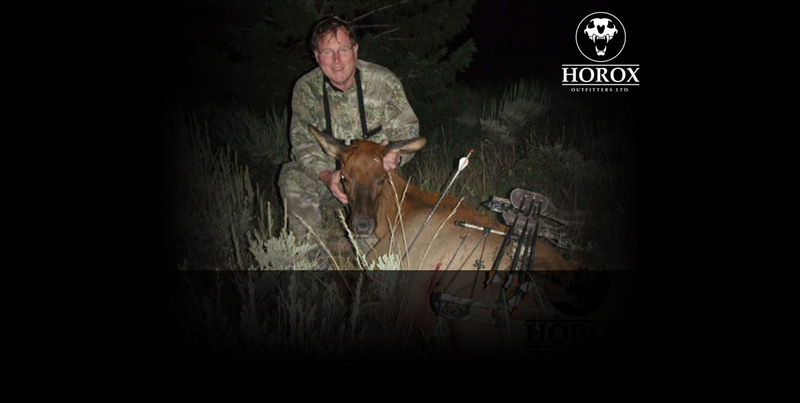 *Licenses are valid for 365 days from the date of purchse and a combination license allows you to hunt or fish in Utah and also allows you to fish with a second pole. Dates vary through Aug to Jan. This year, you can apply online for one or more antlerless big game permits from May 30–June 20, 2019. Plan on visiting wildlife.utah.gov in late May 2019 to see which permits are available. Antlerless drawing results will be available on or before July 11. If any antlerless permits remain available after the drawing, you can purchase them starting July 23. Pack for warm days with cold mornings and evenings. Dress in layers to stay warm while sitting, but not overheat while hiking. What does your guide rate include? 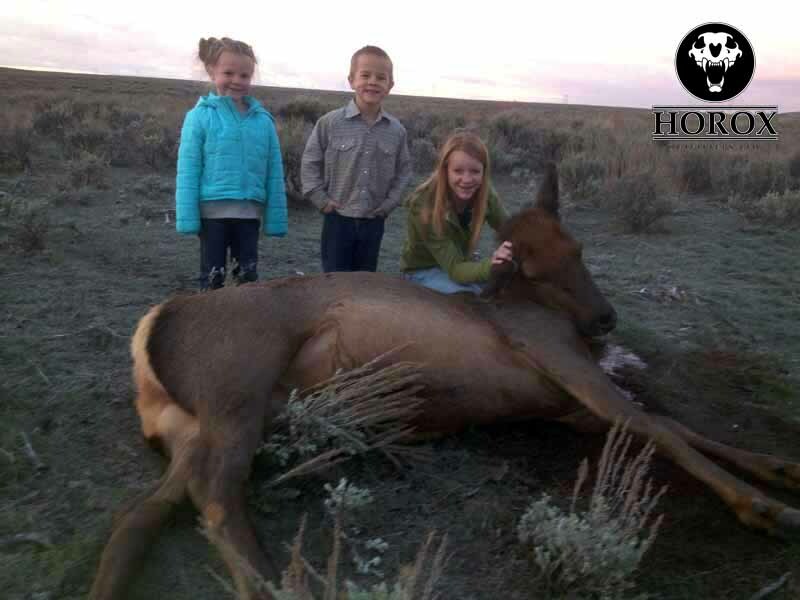 • The $1500 for a three-day hunt includes everything but state licensing and permit fees. • Any gas station stops, the hunter will be responsible for whatever he or she chooses to purchase. • You are responsible for weapon of choice, hunting clothes, personal effects and transportation to and from Vernal, UT. What can I expect for lodging? • We offer full-service lodges and camp trailers, where you will be served breakfast, dinner and provided with a sack lunch for mid-day or return to camp for lunch. • Keep in mind that when staying in a cabin or camp trailer in the winter months we will not have running water. • We limit our camps to avoid overcrowding but still allow for plenty of camaraderie. Practice targets will be available to keep you tuned up for that chance at a trophy. What happens if I don't kill a cow elk? 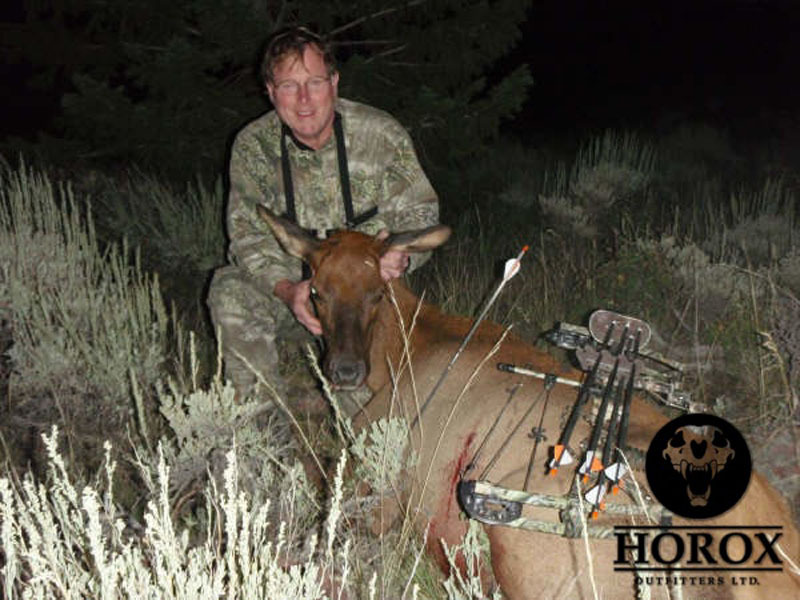 • If for some reason we don't kill the cow elk of your choice within the three days of your hunt, you can continue hunting for an additional fee per day thereafter. What are the temperatures like during the hunt? • Temperatures can range from below zero to mid 50-60s. • Our ranch is located near Vernal, UT in northeastern Utah, where we will meet you. What should I tip my guide? • This is always a sensitive question, but one we get all of the time. Industry standard is 10-20%. How soon will I need my license? 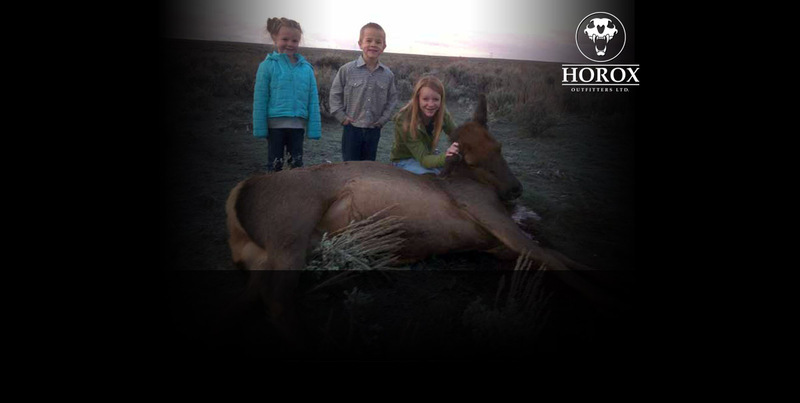 • Licenses MUST be purchased at least 10 days before your arrival to hunt. There is a 10-day waiting period before your tag is valid. Are you members of any guide associations? • Yes, we are a member of the Utah and Colorado Guides Associations. What should I expect regarding taking care of my meat, cape and taxidermy? 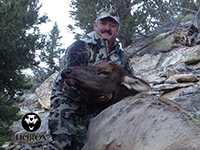 • Trophy care includes hauling your animal off mountain to the cabin where we have hanging racks for the meat and animal. We will help you bone the meat out to put in your coolers. • If you want your meat cut up in town by the local butcher we will put it in your truck and you can haul it to town to be cut up and he can mail it to you. Town is about a 40 minute drive. If you don't have a suitable outfit we can arrange this for you. • If you bring your own coolers you will be responsible for your own ice which is only available in town. 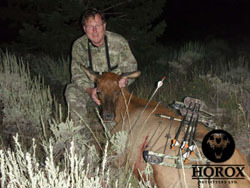 • We will cape your trophy and put it in your cooler or assist in making arrangements with your taxidermist. What types of tags/permits will I need to purchase? • Detailed information about tags and fees information can be found by reading Utah's 2016 Antlerless Hunts Guide. Apply online at Utah Hunt.